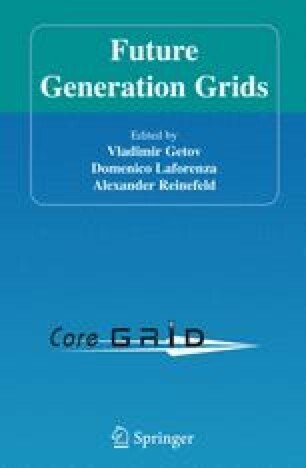 Grid computing has recently emerged as a response to the growing demand for resources (processing power, storage, etc.) exhibited by scientific applications. We address the challenge of sharing large amounts of data on such infrastructures, typically consisting of a federation of node clusters. We claim that storing, accessing, updating and sharing such data should be considered by applications as an external service. We propose an architecture for such a service, whose goal is to provide transparent access to mutable data, while enhancing data persistence and consistency despite node disconnections or failures. Our approach leverages on weaving together previous results in the areas of distributed shared memory systems, peer-to-peer systems, and fault-tolerant systems. The GDS Project has been supported by the French ACI MD Fundamental Research Program on Data Masses, sponsored by the Ministry of Research, CNRS and INRIA. Project reference Web site: http://www.irisa.fr/GDS/.